The Los Angeles Police Department (LAPD), California Highway Patrol, and several other local law enforcement agencies countywide conducted sobriety checkpoints and saturation patrols for the Cinco de Mayo weekend. The “Avoid the 100” Los Angeles County DUI Task Force deployed saturation patrols countywide while CHP officials conducted similar patrols on freeways and in unincorporated areas. LAPD also operated a sobriety checkpoint at Cahuenga Boulevard and Broadlawn Drive in North Hollywood Saturday night through Sunday morning. It is not clear how many people were arrested as a result of these Cinco de Mayo checkpoints and saturation patrols. This year, since the holiday fell on a weekend, officials stepped up DUI enforcement in Los Angeles County where many parties and festivals took place. This is only a preview of what Angelenos can expect in the summer, with Memorial Day just weeks away. 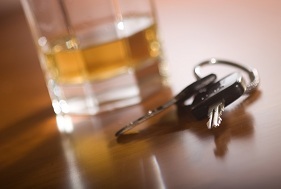 The time between Memorial Day and Labor Day is notorious for DUI accidents in Southern California. Over the last few years, saturation patrols and checkpoints have increased significantly in the Southland during the summer. Many police agencies get funding for these checkpoints through the California Office of Traffic Safety. In addition, agencies also partner by forming regional DUI task forces. If you or a loved one has been charged with driving under the influence as a result of a checkpoint or saturation patrol, the experienced Los Angeles County DUI defense attorneys at Takakjian & Sitkoff can help you better understand your legal rights and options. We have a successful track record of fighting these charges by pointing out mistakes that may have been made by officers at checkpoints or procedures that may not have been followed properly. Please contact us at (866) 430-8383 for a free and comprehensive consultation.